The Jeld Wen W2500 window is a wood clad replacement or new construction window that uses either a pine or aluminum cladding exterior, along with a wood pine interior. The pine interior is made with an AuraLast wood treatment that protects the wood from rot and termite damage (see the warranty details below). Unlike the Jeld Wen W 4500 window (which can be ordered in a pine, douglas fir or an alder wood), the W 2500 window is available only in a pine interior. The window includes seven clad exterior color options, as well as 10 interior wood finishes. Consumers can choose from three different glass options, that include a textured, protective, and energy-efficient low E glass. Homeowners can also choose from a number of hardware finishes that include brushed chrome, desert sand, chestnut bronze, oil rubbed bronze, polished brass, and antique brass. The W 2500 is available in an awning, casement, fixed or picture window, as well as a double hung. Consumers can expect the W 2500 Series window costs to run $45 - $55 for the window itself. Comparable windows include Andersen 200 window prices and Stanek window options. The Jeld Wen W 2500 Series casement, with the aluminum exterior cladding, wood interior, low-e glass and argon fills will deliver .29 u factor, .28 SHGC and .51 VT. Without these upgrades, consumers can expect the U-factor and SHGC to be quite a bit less impressive (higher numbers). 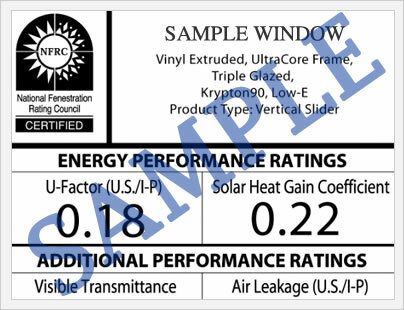 This performance data comes from the nfrc.org website, which lists performance information on thousands of window models and series. The Jeld Wen W2500 window comes with a twenty-year provision on materials and workmanship on the insulated glass unit, hardware, and the aluminum cladding. There is a 20 year provision on any Kynar clad finishes and a 10 year provision on any polyester clad finishes. 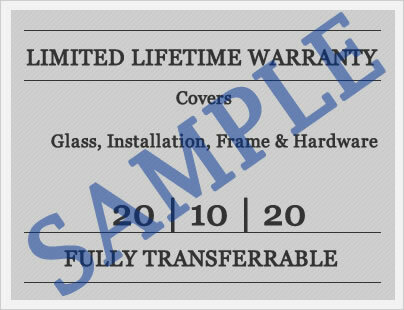 It includes a labor coverage on repairs for two years and the warranty is transferable for up to 10 years from the date of purchase. The AuraLast wood, specifically the pine (the only option on the w2500 model), comes with a 20 year general protection provision and a limited lifetime warranty against wood rot and termite damage. Do you have Jeld Wen W 2500 windows reviews to share with consumers and homeowners just like you may be looking for additional information from individuals who have previously purchased and used these wood windows? If so, submit them here and let others know your opinion on these home windows. Do you have questions to ask Jim or John, our website editors? Submit your window replacement questions here and get the answers you need from our experts directly to you. I have series 2500 d/h windows the seal between some of them is broken i have a number of the window G89568. Kelly, my notion is this is a Jeld Wen W2500 double hung. I would suggest calling up your local Home Depot or Lowes ands if either one carries this brand. If so, explain the problem and ask if they have a contact number for the company. I think this would be your best bet. I'm planning a 2-story addition of about 700SF that would have 15-20 windows of various sizes, and am just beginning to research window options. Most of the contractors here in MN seem to prefer Marvin windows, but I'd like to find something less expensive with decent performance. I'm inclined toward a clad window with a wood interior. Menards carries the Jeld-Wen W2500, which I see is not one of your favorites. They currently offer 25 sizes of the W2500 up to 38"x60" for the same price of $230 after rebate. I'm not ready to buy now, but does this seem like a bargain price for a decent window to you? If not, what would you recommend with a better mix of performance for price? Thanks much for your thoughts. David, I'm not the biggest fan of the Jeld Wen w2500, I think the step-up model the w4500 is a better window for sure. I totally understand that the Marvin feels like it's too expensive -- it's a great window, but it's not cheap. If I were you, I'd get a bid from Sunrise windows and see how their models compare in terms of price. Their mid range models are going to be more expensive than $230 for sure -- but they make a great window and it should be at a reasonable price point.